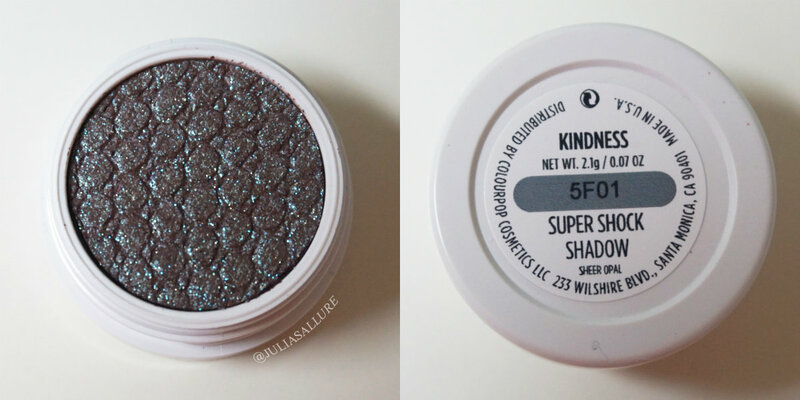 I think the whole theme of her shadows is beautiful and positive and the quality and overall view of the shadows really represents that. 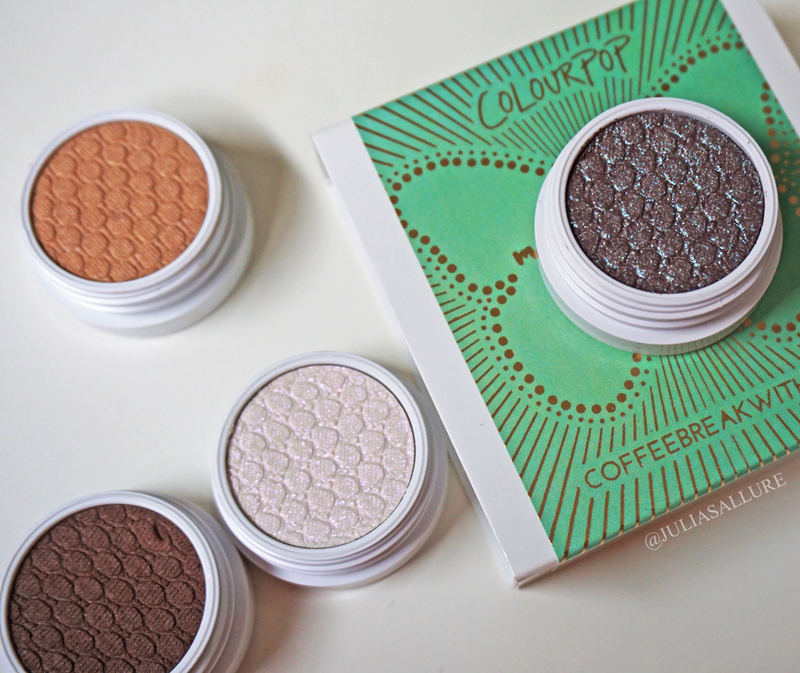 You can buy her quad online from Colourpop’s website. 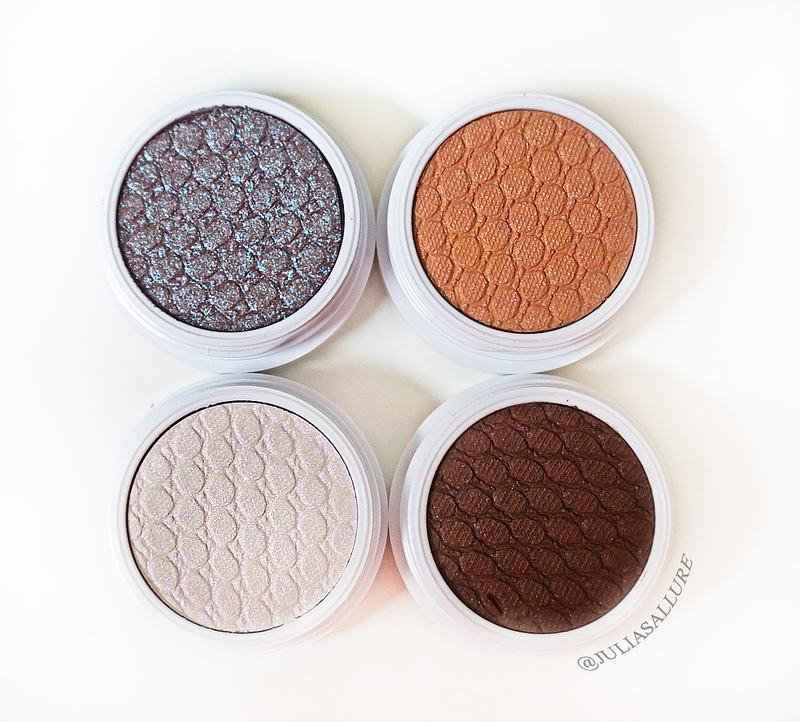 The quad retails for $20.00 USD which is a great price considering you are getting four full-sized shadows which would retail for $5 each. 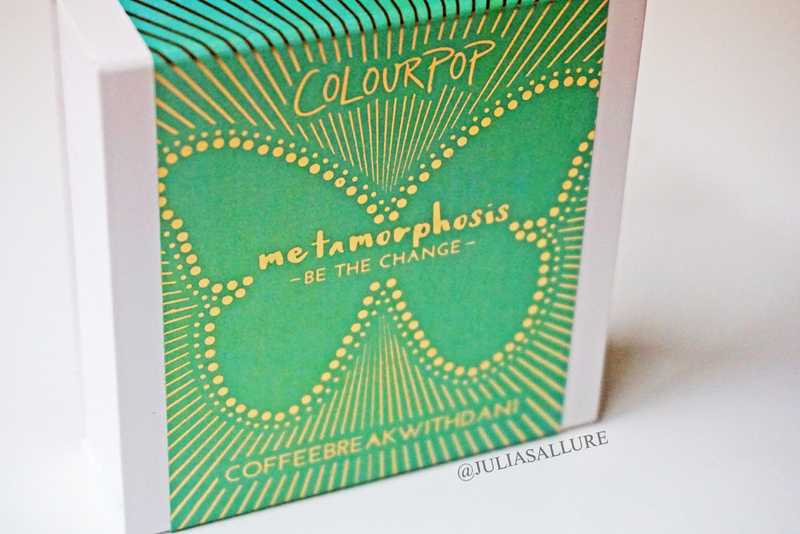 I love the outer packaging of the product – she used a beautiful mint green shade (mint is her favorite color) with golden accents/writing. 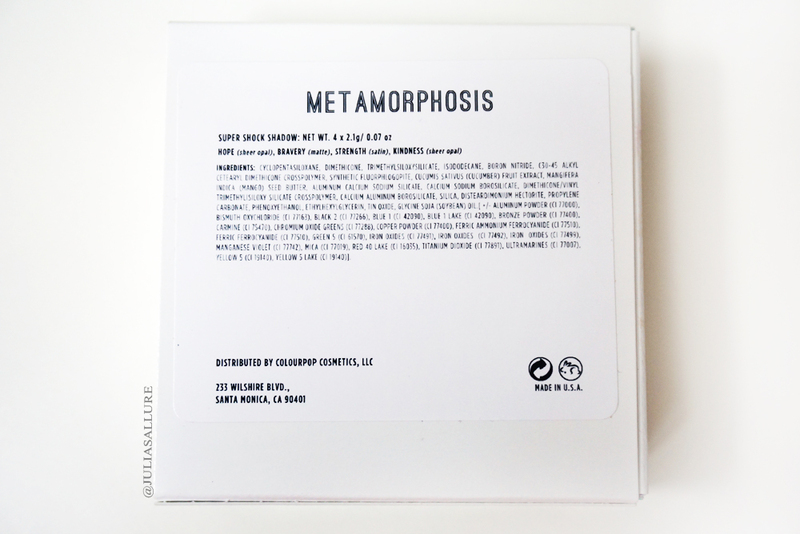 There is a butterfly image on the cover which represents the “metamorphosis” which they constantly go through – and which her quad is based upon. 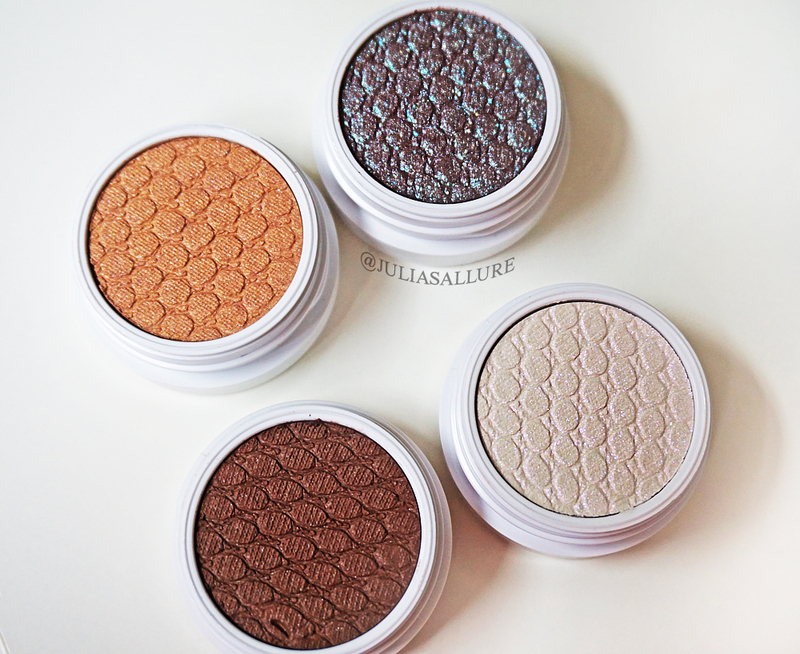 The shadows come packaged in a little quad but like all of the Colourpop shadows, they are each individually packaged. 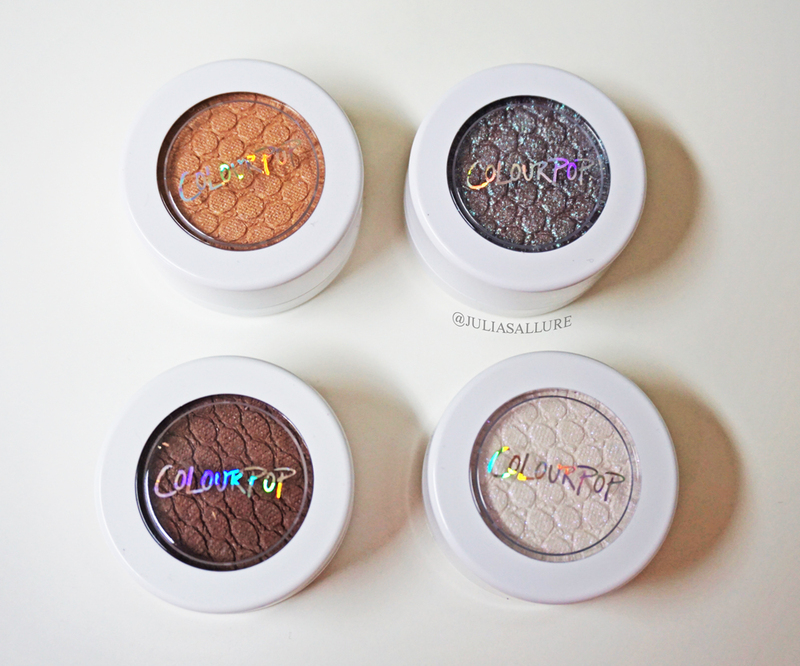 If you’re not familiar with Colourpop’s shadows, they are not like your regular eye shadows by no means. 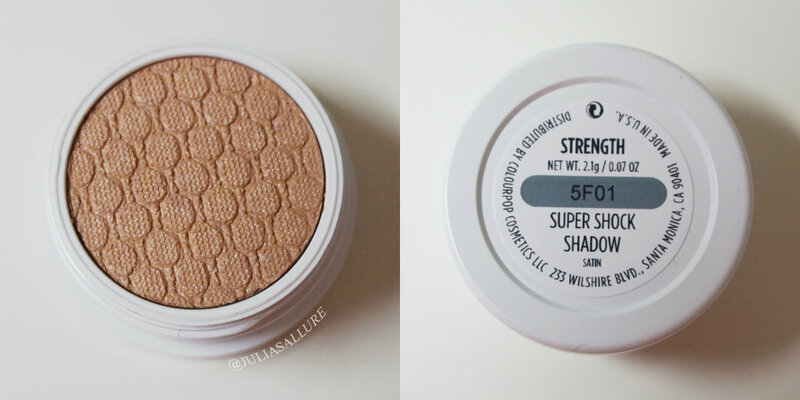 They aren’t quite a cream and they aren’t quite a powder. They have a slight “mousse” or “play-dough” texture if that makes sense. 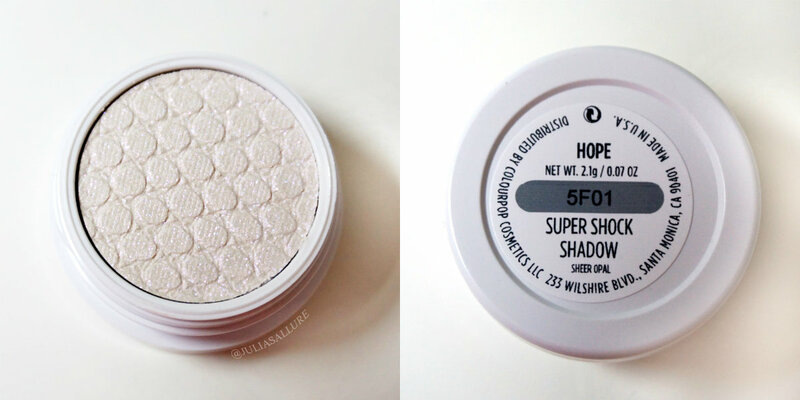 They pack a ton of pigment and once the shadow sets, it will not budge. 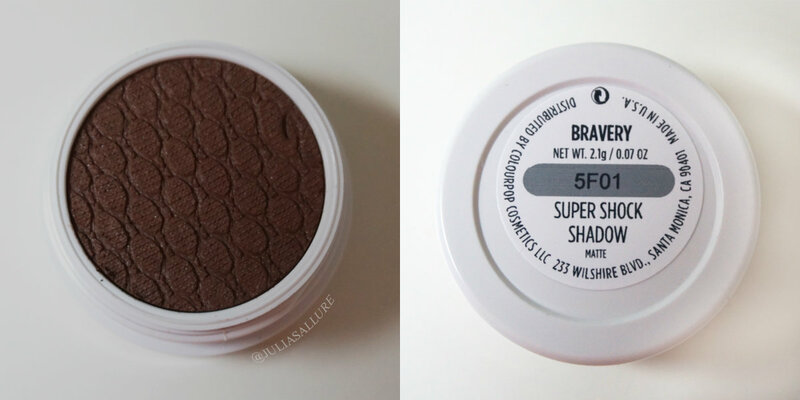 That’s what I love about these shadows – you get the maximum amount of pigment without having to use any sprays or adhesives and the shadows stay put! 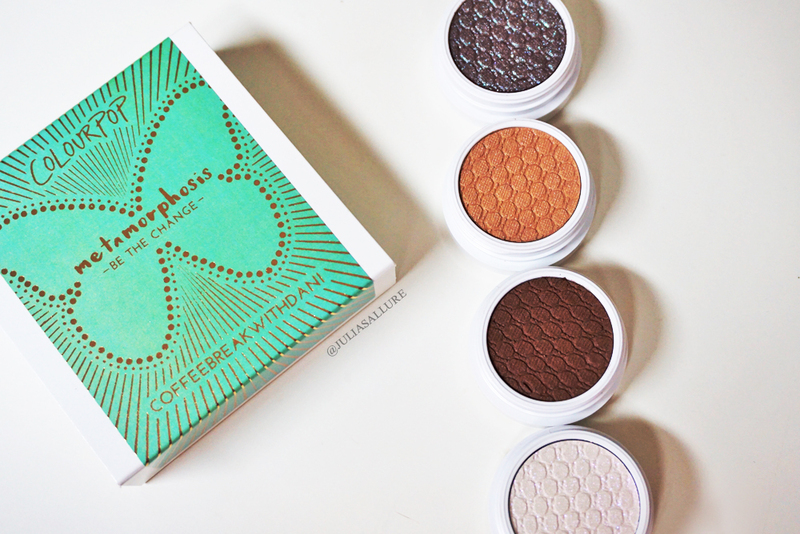 They’re truly one of my favorite formulas out there. 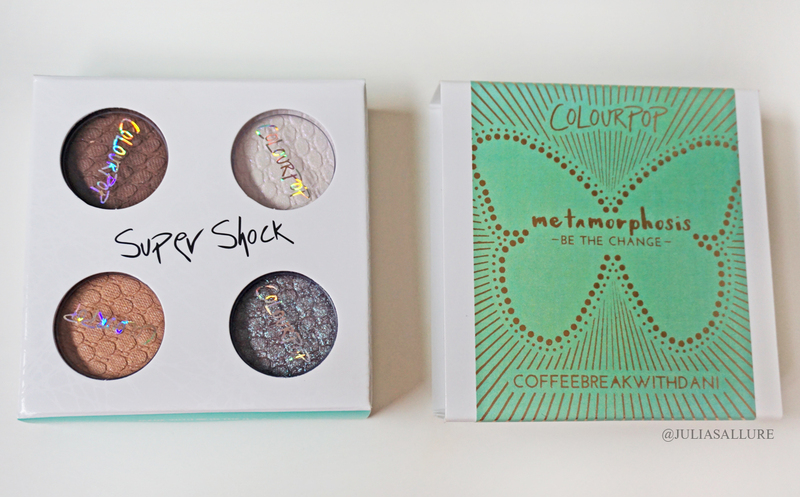 I love Colourpop shadows and I can’t wait for these to arrive at my door! 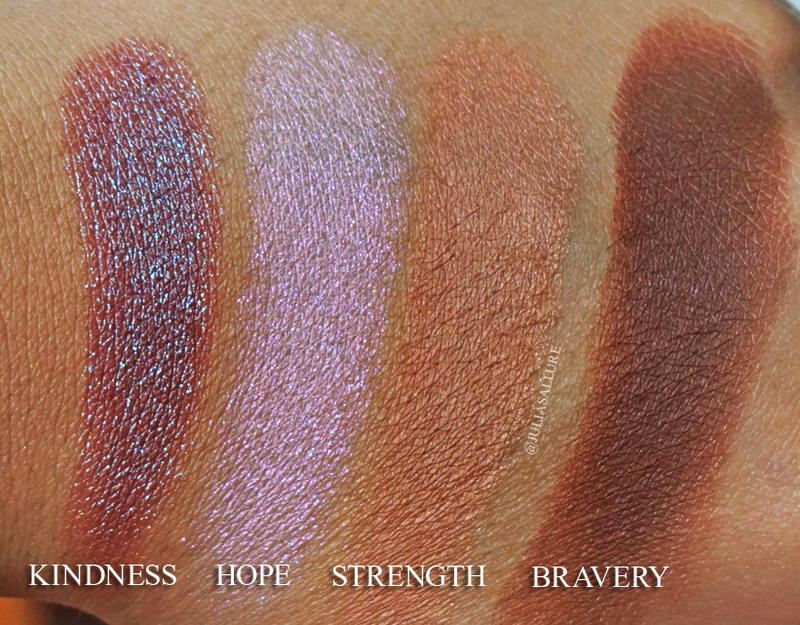 The swatches make me even more excited to get them. 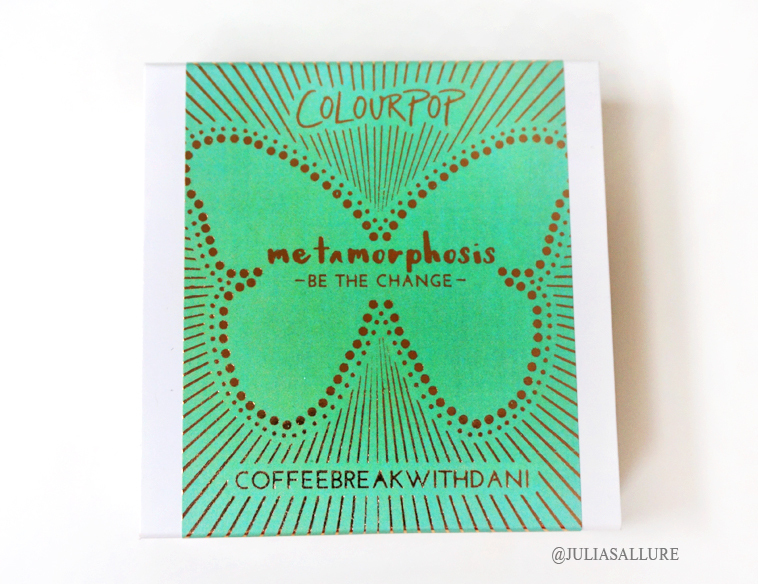 I got these last week and am super impressed with them, colour pop never disappoints! I have this quad and I absolutely love it!